Quartz countertops - How did they get more popular than the real thing? 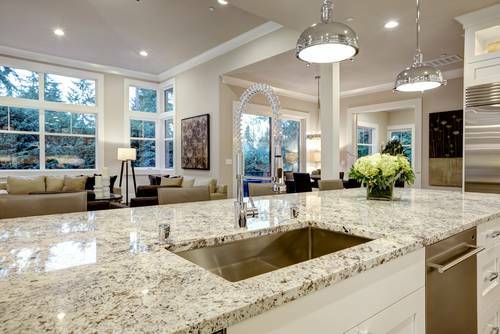 Quartz countertops are now more popular than granite – How did it happen? 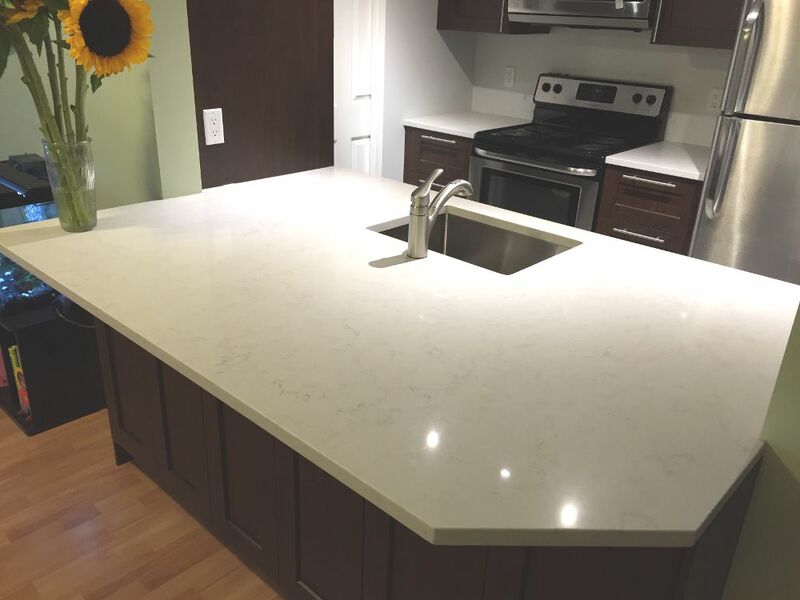 Through my company, SKG Renovations, I have contracted the install of dozens of natural stone countertop and quartz countertops since I started my business 10 years ago. In the early days of my business I can recall telling my clients about the range of stone counter surface options for their kitchen counters, which included engineered stone (the cheapest option at the time). When I was finished, I would often get the same question from these clients regarding quartz countertops. “Why would I buy a artificial piece of stone for my countertop when I could buy the real thing?” At that point, I would say much the same thing every time. “I’m really not sure why you would buy such a thing”. Has technology improved on nature? I, and obviously many others, thought that the whole point of ditching your artificial sawdust and plastic “laminate” counter, was to enjoy a wonder of mother nature. The status that granite brought to your kitchen, was not only due to it’s high cost, but also to the miracle that would allow this thing, formed deep within the earth and carved out of a mountain, to eventually become your kitchen counter. It was always something of a miracle to me to see the incredible variation in the slabs, and be amazed by where they came from and how they were formed. But as the years passed, I have become much less vocal about my natural stone bias, as the high demand for this wonderful material has reduced significantly. The people have spoken! After 10 years of observing this trend, I have definitely noticed the changes in perception about engineered stone and natural stone (as a group). I believe that the genius marketing efforts of the quartz makers have slowly focused consumers’ attention on the high maintenance, and delicate nature of some of the softer stones (ex: marble, limestone). In their marketing efforts they neglect to mention that quartz is in direct competition with only granite and quartzite countertop surfaces (both beautiful and durable stones). As a consequence, I believe they propagate the myth that all stone counters are equally delicate & high maintenance. Without anyone educating people about the differences between the stones, consumers stay away from all natural stone, considering it too risky to purchase. If I was not aware of the awesomeness of granite and quartzite, I would also buy a quartz countertop. Regardless of my attitude about the superiority of natural stone, the dramatic increase in the popularity of quartz countertops over the last 10 years is real, and quite remarkable. The manufacturers of engineered stone seem to have successfully convinced most people that, not only is a quartz counter surface equivalent to natural stone in status and utility, but it’s actually superior.Â My stone fabricator recently confirmed that his orders for cutting and installing quartz countertops make up 80% of his total sales. In other words, it is now relatively rare for him to cut and install granite countertops. I must be clear that I am actually very impressed with quartz as a counter surface. This purpose of this post was not to dissuade you from considering all engineered stone counter surfaces when planning your next kitchen upgrade. I simply wanted to make it clear that the benefits of quartz countertops does not match the hype. It is clearly a “low maintenance surface” but certainly not zero maintenance or indestructible as some would claim. I think it was also clear from this post that I love natural stone, particularly granite and quartzite. I also believe that they have been grossly misrepresented as a high maintenance and delicate counter surface when they are just the opposite. In conclusion I think that anyone looking for the most beautiful and functional counter surface for their kitchen (or bathroom) would do themselves a great disservice if they did not consider granite or quartzite as an option.Â See my article Quartz countertops – How did they get more popular than the real thing? The impression that I get from most of my clients is they believe that quartz countertops are basically indestructible and maintenance free. It is a great accomplishment that the makers of quartz counters have accomplished this huge change in attitudes about quartz over such a short time. I will give them some credit for that, but now it’s time for a more informed perspective on the topic. See my article: Granite vs. Quartz – What is the difference……. really.